I thought that this peony bloom looked nice, even though it was totally finished blooming. Even at f11, depth of field is very minimal, allowing the background to take on a painterly look. 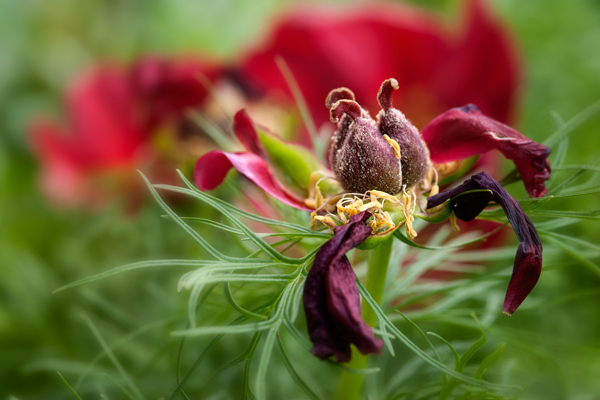 This is yet another shot from our garden this week. 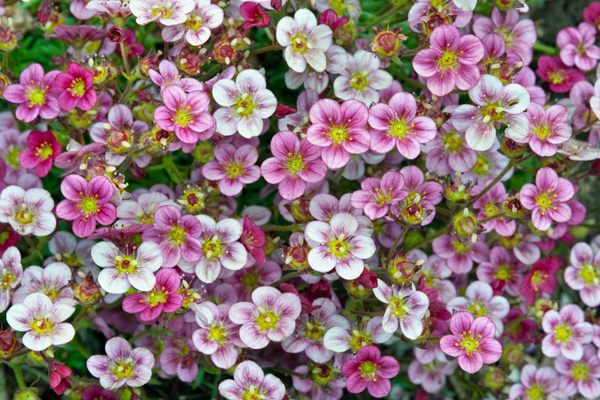 These tiny flowers come in a nice mix of tones that are pleasing to the eye. The whole clump is about 8 inches around,but they pack a nice punch for their size. Again, no clue whatsoever what they are. 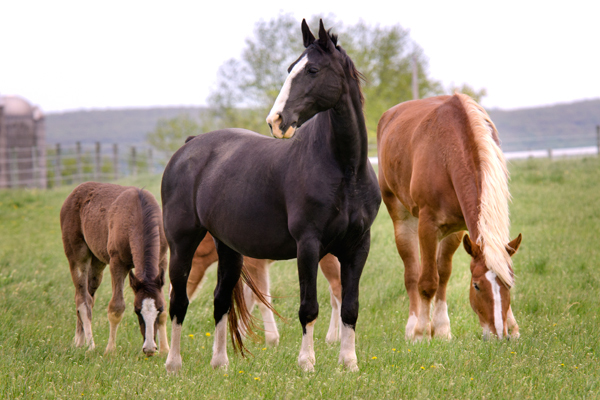 Another shot from the pasture the other day. It was interesting to watch the horses interact with one another. There was a good bit of running, some hoof stomping and even a few powerful kicks to set anyone straight who might not know who the leader was. This black horse had an air of power and grace that set him apart from the others. 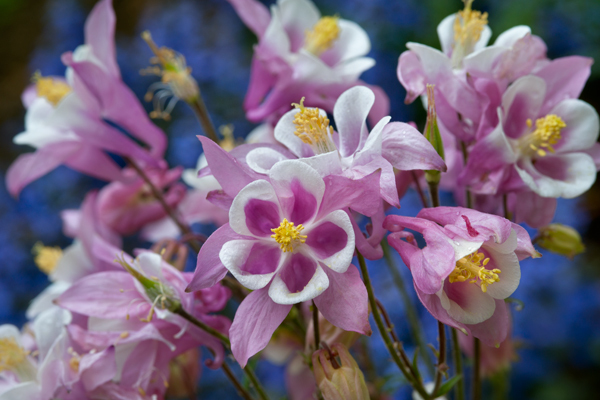 Soft light and calm conditions were perfect for capturing the subtle hues in this columbine plant. A blue ground cover in the background provided a complimentary accent to the scene. I Want to Play . . . Now! 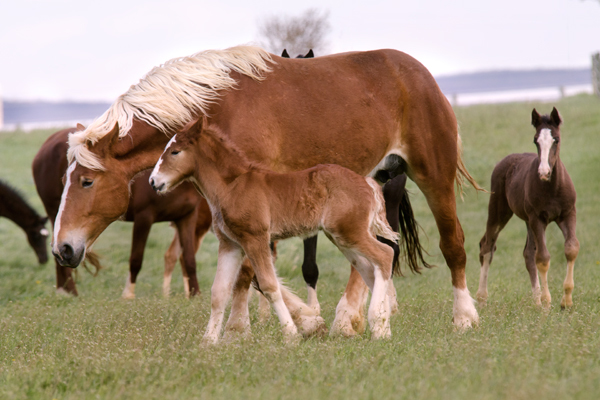 I photographed this horse and its foal recently in a local pasture and could not believe my eyes when I saw the youngster repeatedly smack the mom on the head to get her up and walking around. The bottom photo was taken first, and then momma decided to lay down, which did not sit well with junior. 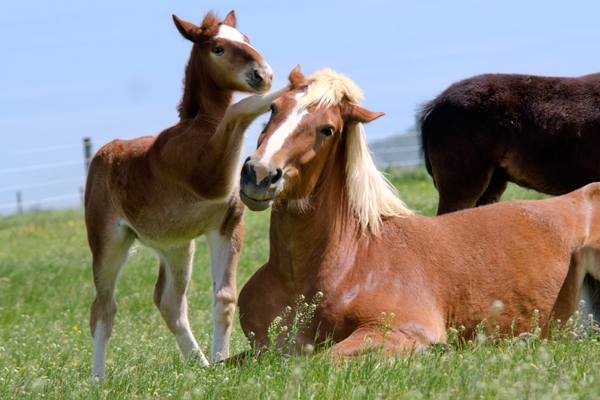 The foal seemed very irritated the entire time her mother stayed laying, which was not very long due to repeated hoof blows to the head. Maybe she wanted to romp in the field for a while, or maybe just didn’t think mom deserved a break, but it was funny either way. 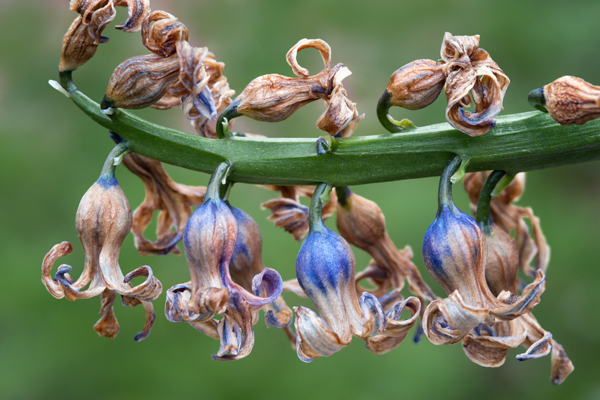 I usually stick to photographing flowers in their prime, but something about this hyacinth falling over in all its fading glory caught my eye. This is just one of several images captured over the course of several hours this past weekend. I saw this scene while I was riding bike the night before and knew I had to get back soon to capture it. The driveway was even more pristine looking when I first arrived, but several vehicles came and went shortly after I got there, and made marks in the lovely pink carpet. Thankfully wind helped bring down more petals to help cover things up. 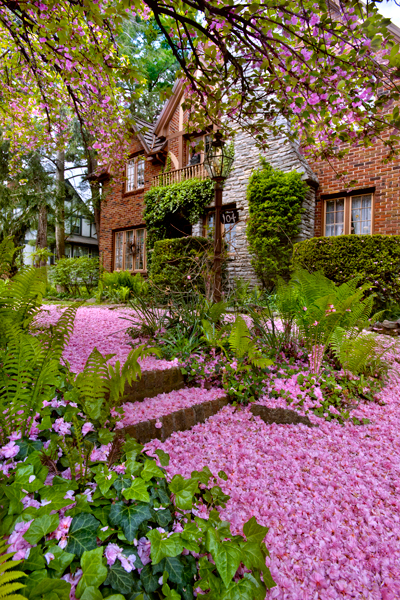 I could not seem to break myself from shooting various angles, in part because the home seemed to go perfectly with the fallen flowers, and the sea of pink under foot was something quite amazing. The owner asked if I had A.D.D, because I was there so long, but I loved every minute of this location. Once again, generous homeowners were very agreeable to let me wander the property, which made all the difference. It is not really called ivy manor, but I named it that because it reminds me of something from Europe. The Cotswolds in england are among one of the places I desperately want to visit sometime in the future and this image sort of has that cottage look.